Hi everyone! So sorry for the little hiatus, but I am back with some delicious eats! I’ll begin with La Cubana. As evident in the name, this is a Cuban restaurant. There are two locations in Toronto, one on Roncesvalles and one on Ossington. The Ossington location is a bit of a smaller menu, but just as good! I visited for lunch with my dad. He had a beer which was locally made by the Junction Craft Brewing House. The mostly rum-based cocktails did look delicious, but I did not order one. 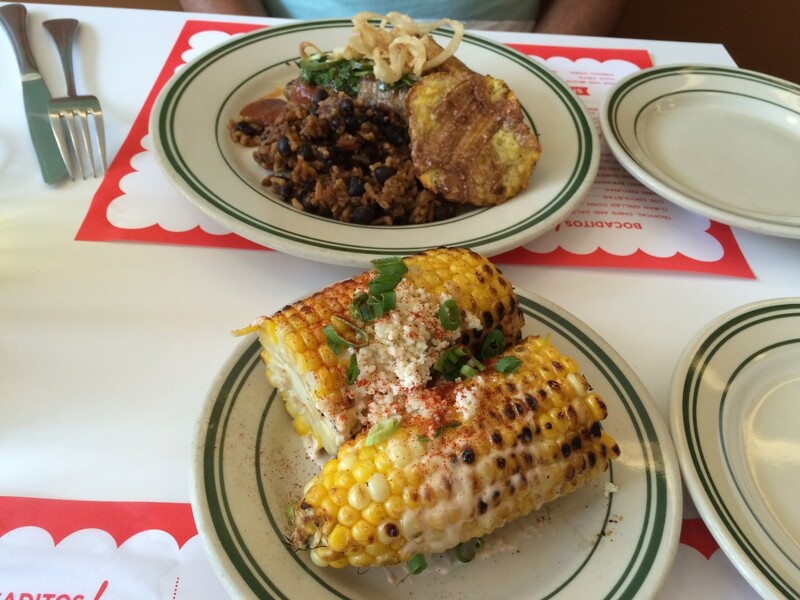 As for the food, we started with Cuban grilled corn. The sweet juicy corn was grilled and then topped with crema, cheese and cayenne pepper. It was a pleasant combination of sweet, salty and spicy. It was a tough choice choosing a main entree since the sandwiches and plate entrees all sounded enticing. We decided to go for the guava BBQ beef short rib plate, served with slaw, rice and beans and tostones. The beef was juicy and tender with a sweet finish from the guava. Tostones is a corn fritter which was perfectly crispy and salty. My dad and I have a huge sweet tooth so we chose the key lime pie for dessert. 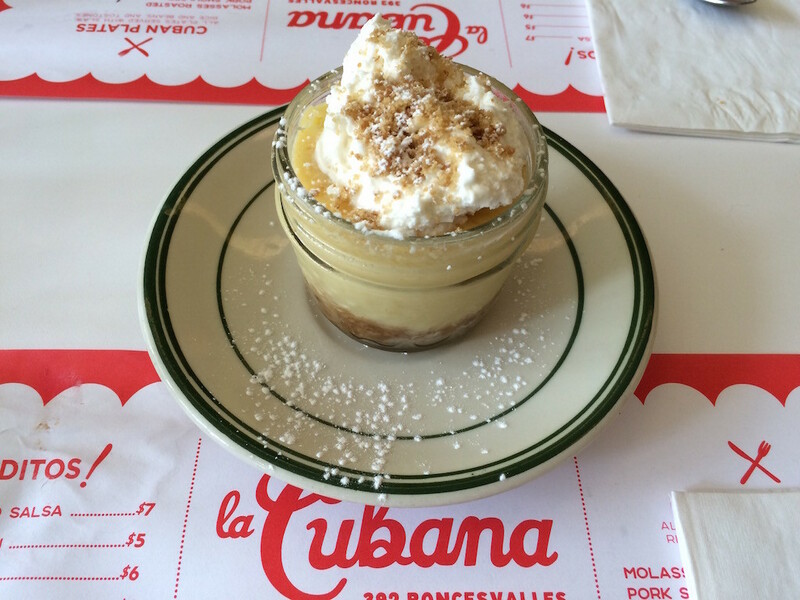 Served in a little jar, the tangy, sweet creamy key lime pie with a graham cracker crust was the perfect ending to our meal. I cannot wait to visit La Cubana again to try some other dishes!